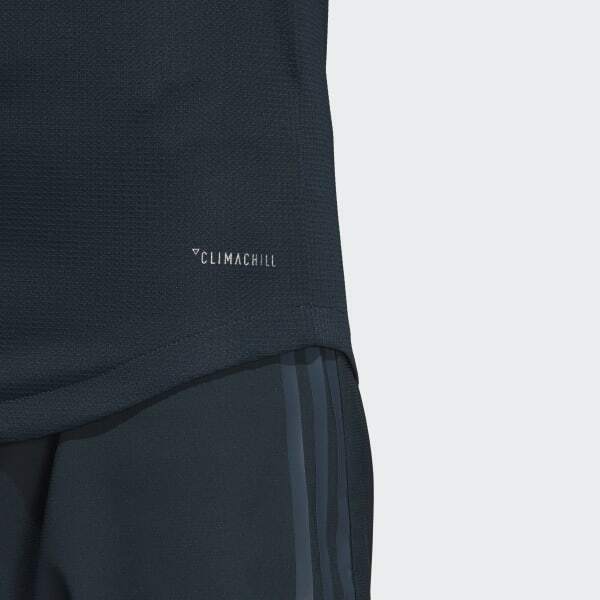 Stay cool and dry in the heat of battle this summer with Climachill. Made with ultra-breathable and moisture-wicking technology. Made for the match and fitted for match winners. This jersey is slim through the shoulders and body to decrease weight and wind resistance. At home on the pitch or street. Own any arena with a contemporary curved hem fit. When you play in the world's biggest matches you need to be light on your feet. A premium heat transfer crest keeps this jersey as light as possible. 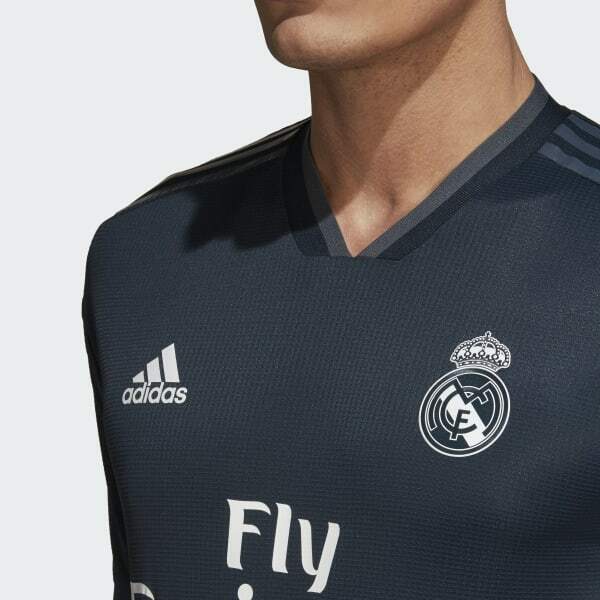 A jersey engineered to keep Real Madrid at the top. 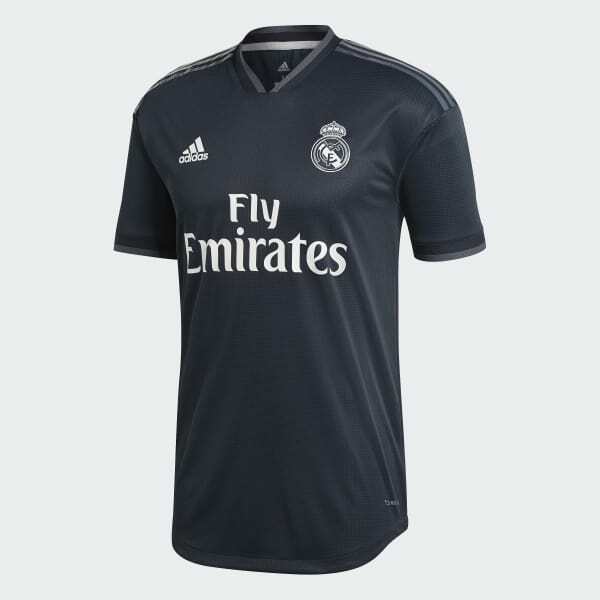 Identical to the match shirt worn by Real Madrid's superstars, this away jersey delivers every possible on-pitch advantage. Daringly simple, its elegant design stays dedicated to the details with a two-tone tipped collar and cuffs. Made of smooth, lightweight fabric that dries quickly and keeps you super cool, this premium jersey is built to perform at the highest level.